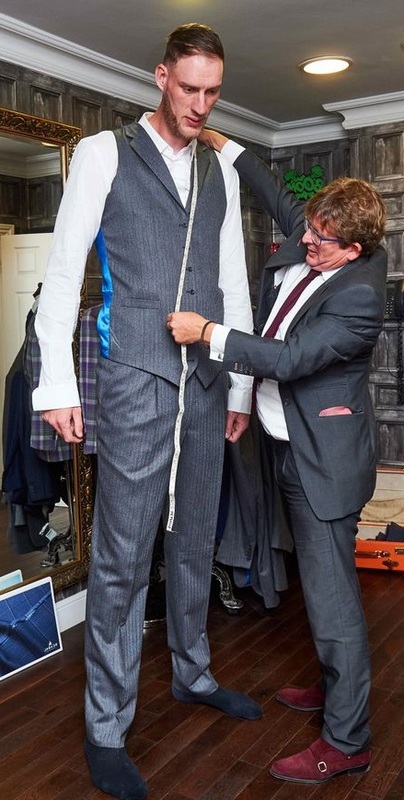 Britain's tallest man finally got his first suit at the age of 30. Britain's tallest man finally got his first suit at the age of 30. 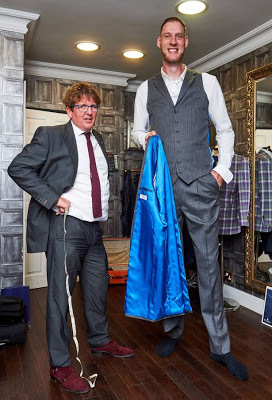 Basketball player Paul 'Tiny' Sturgess, who stands on a stunning 7ft 7ins, has been unable for years to find a suit big enough to fit him. 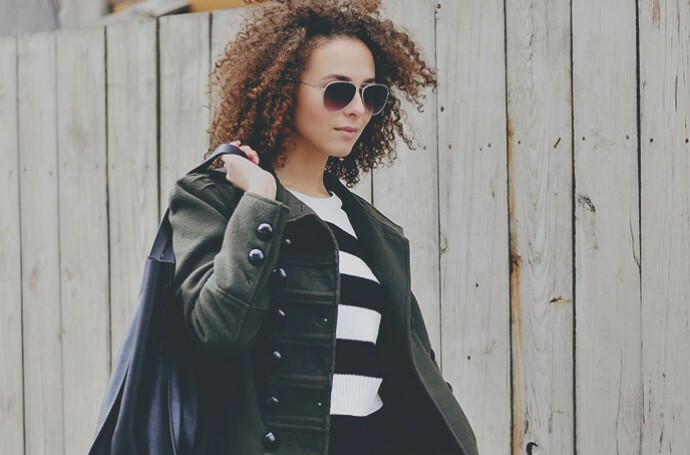 But after struggling to find a tailor to make him three pieces of his size, he eventually managed to locate a London-based. Tim Nash, from Norton and Townsend Adaptation, took the challenge using the double the amount of cloth a regular man would need for a suit. And Paul is excited about the £ 1,500 product. The former Harlem Globetrotters player from Loughborough, Leicestershire, said he was "really looking" to wear the first costume of his life. He will perform the piece, made of medium gray wool, for the upcoming marriage of Luis Taylor's close friend at Atherstone, Warwickshire. We are so happy about him. Who else; It's not easy, lol.